WD Smith and Son, based in Essex, is a family owned plant growing business with acres of glasshouses. In order to maintain an optimum growing environment for these plants all year round the glasshouses are supplied with a heated atmosphere to outweigh the external climate changes. WD Smith’s owners came to Rural Energy directly looking to reduce their carbon footprint, cut bills as they were off the gas grid, and provide a cleaner air source to their glasshouses. In order to meet these requirements Rural Energy specified a 1.8MW heating system to heat the extensive glasshouses that could also provide hot water for cleaning purposes. 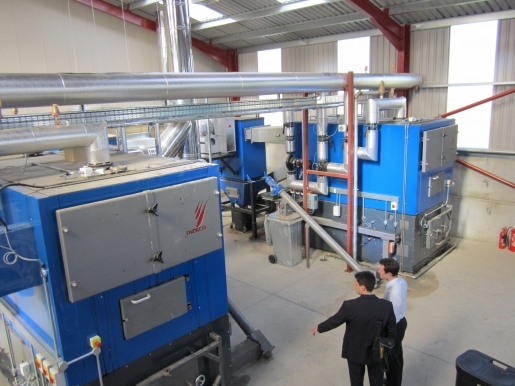 This system is made up of two industrial 900kW Endress VR-W biomass boilers (1.8MW in total), a scraper floor fuel store and two fuel feeds that ensure each boiler is independently fed. 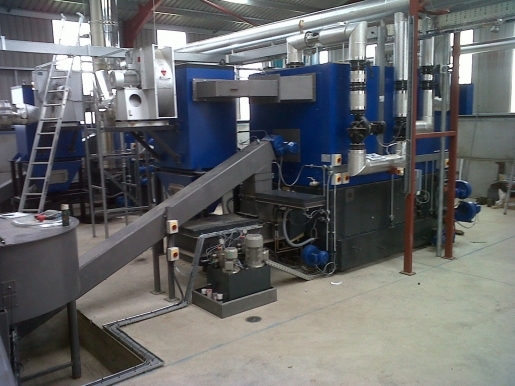 Rural Energy project managed this installation. 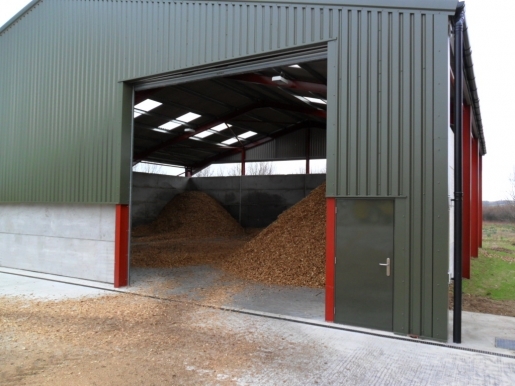 A large fuel store warehouse was supplied in an external shed, allowing the client to store fuel en mass and deliver it to the boiler fuel store as and when it is required. 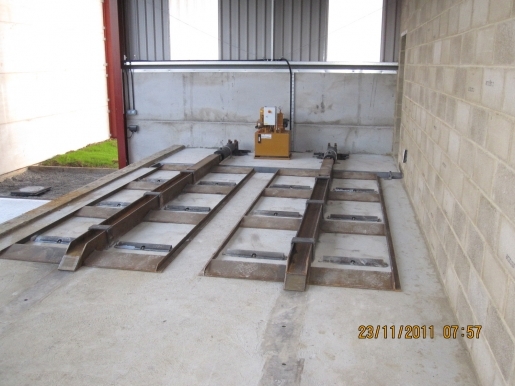 The scraper ‘walking’ floor allows for each boiler to be fed separately, and moves fuel evenly across the bottom of the fuel store and into the auger. 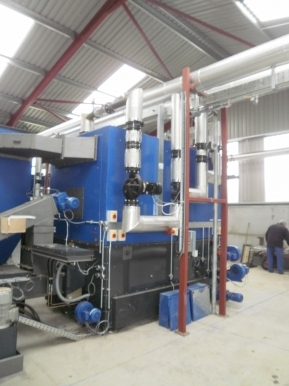 The highlight of this process is the independent feeding systems from the single fuel store which means that each boiler stands separately according to the RHI, therefore increasing their Renewable Heat Incentive income.